Eight new chrysalides, of which four eclosed and were released Friday. Released sixteen so far this season. The report shows a sharp two-decade decline in the number of monarchs which overwinter along the California coast and prioritizes the top 50 overwintering sites most in need of conservation and management attention. State of the Monarch Butterfly Overwintering Sites in California provides an analysis of western monarch population trends. A comparison of the average number of butterflies overwintering in California during the periods 1997–2001 and 2010–2014 shows a decline of 74% since the late 1990s, a figure that is comparable to declines documented at monarch overwintering sites in Mexico. For those that have a penchant for Monarch butterflies, this report is a must read and worthy of keeping for future reference. 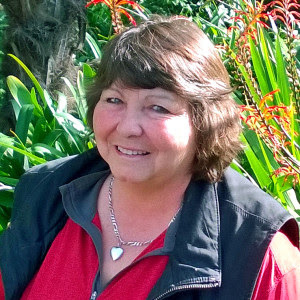 For some more exciting municipal government news, the City of Oakland, California has stepped up to the plate in support of our native butterflies and other pollinators through their system of city parks, via one of their employees, Park Supervisor Tora Rocha. 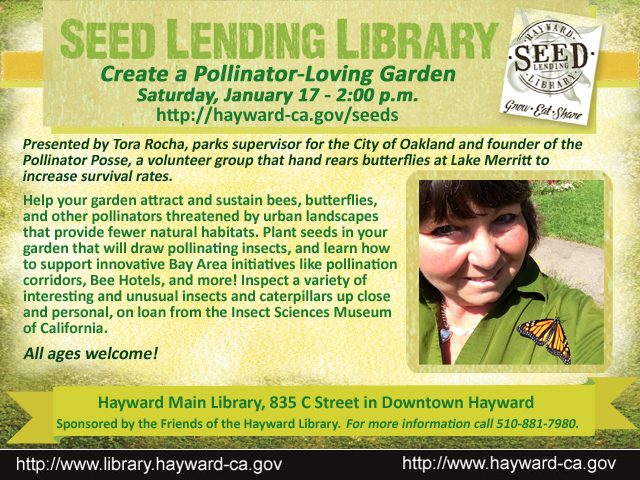 Tora has been instrumental in introducing and cultivating pollinator plants in her parks with blessings from city management. Not only that, but the City of Oakland even allows volunteer citizen groups to help out in the parks. Not a new concept, but a very foreign notion to some municipalities; at least to the City of Laguna Beach, apparently. 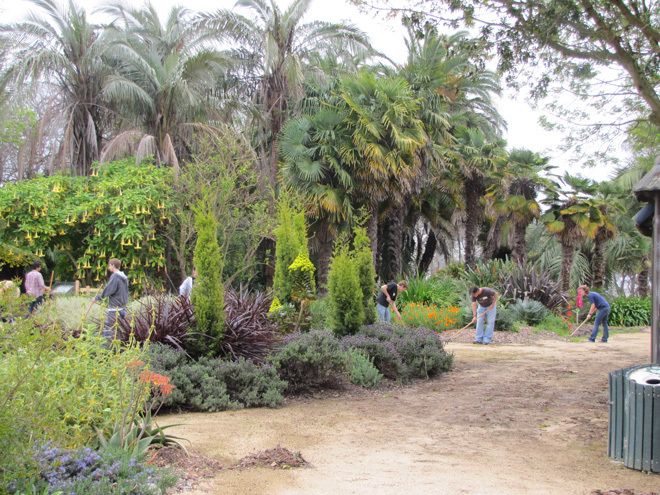 Garden volunteers at Oakland's Gardens at Lake Merritt. 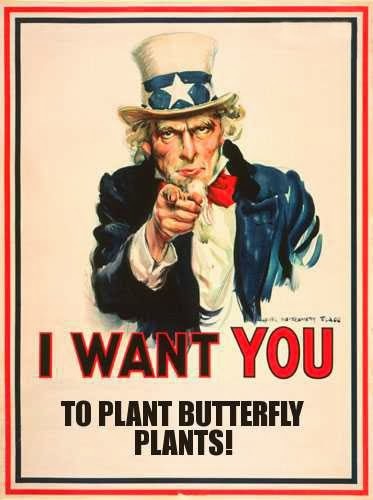 For those that know me and have been following this blog for some time, I have been at odds with the CLB (City of Laguna Beach) management regarding planting for butterflies and the use of citizen gardening volunteers, ever since I was employed as a Parks Gardener there. Hopefully, citizen awareness and a grass roots movement may sway city fathers to reconsider their aversion to the concept. Perhaps those LB warriors with like interests could contact Tora for some mentoring on how to achieve similar goals within their own borders.